Housing is in high demand throughout Shropshire, and the county’s average house price in 2016/17 is £234,368. An annual income of more than £50,000 to gain an 80% mortgage is now required, so the need for affordable homes to buy, to rent and to part own is imperative. 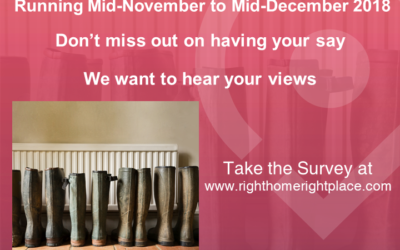 Also, as we spend an average of £1,066 of our income on heating, lighting and hot water, homes that are affordable to run are of equal importance. Therefore the Passivhaus standard is one definition of quality. Passivhaus principles, which include rigorous insulation standards that include ‘sealing’ the home to ensure no heat escapes, triple glazed windows and doors. Large windows are placed on south facing walls, and smaller windows that face other directions are used to maximise the use of natural warmth and light. External cladding is thermally modified, and sound proofing is placed throughout. 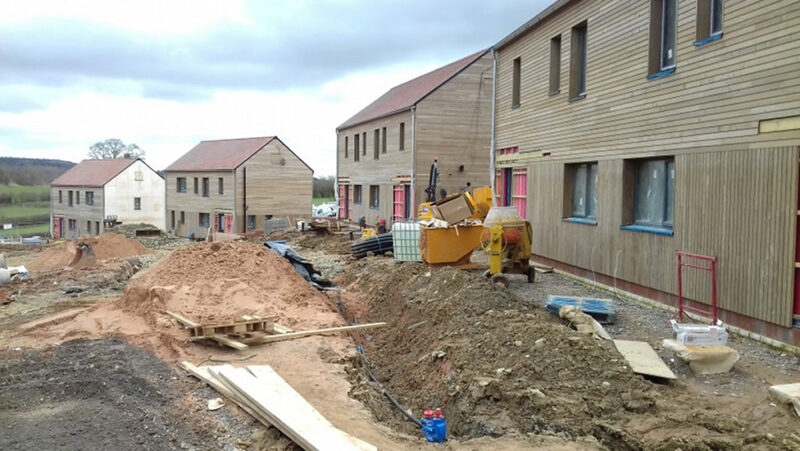 South Shropshire Housing Association (SSHA) is nearing completion on an innovative new development in Much Wenlock that not only provides affordable housing, to rent and buy through shared ownership. Through SSHA’s consultancy service, Marches Community Land Trust Services (CLTS), the organisation has worked closely with Much Wenlock Town Council, and their Neighbourhood Plan to achieve the common goal of providing affordable housing in the area. SSHA took the decision to be leaders in the West Midlands in producing affordable housing using Passivhaus principles due to the lower running costs for its residents, which is predicted to be 75% lower than other new build properties. Although the cost of the build is 20% more than a normal new build home, SSHA believe that this is the way forward for most affordable housing. The UK also has a carbon commitment to reduce emissions by 57% by 2030 from the 1990 levels, and by the provision of quality well insulated properties, SSHA are not only reducing its carbon footprint, and that of its residents but being market leaders in the shape of our housing future. The scheme of 2x 1 bedroom homes, 7x 2 bed homes and 3x 3 bed homes for local people has cost around £2m to build. Two of the homes are available for sale on a shared ownership basis. During the recent allocations process, 104 applicants expressed their interest in the homes, and 27 of these had a local connection to the area, based on the local lettings plan that had been agreed with the town council, ensuring the homes are for truly local people.